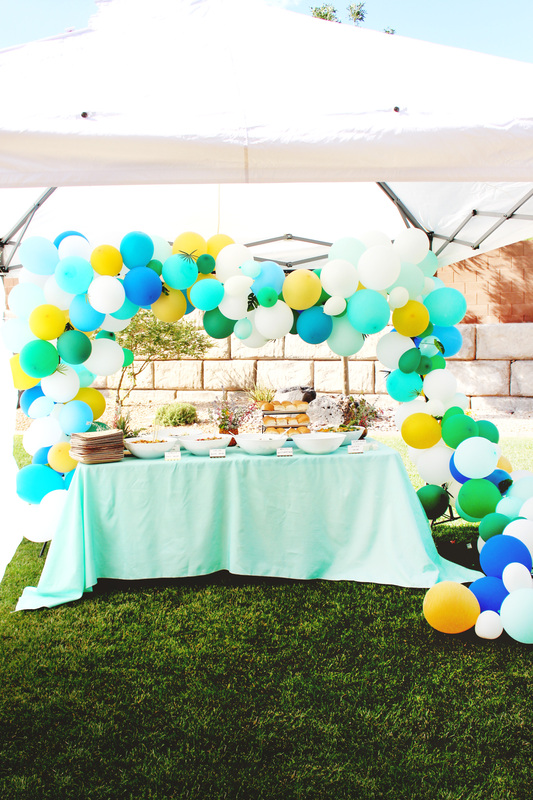 I remember (along with everyone else in the blogosphere) the first balloon arch like this from The House That Lars Built, in this bridal shower shoot, which is far and away my favorite thing she’s ever done! I think at the time I never even considered making one myself, it looked way too involved and time consuming! And, when she came out with her tutorial for it, I was even more convinced it wasn’t for me. She did a pretty intense set-up of chicken wire, shipping tape, gluing, etc. She was able to achieve an awesome shape throughout the entire room but yikes! Thankfully, as all awesome projects go, others in the blogging world have come up with their own tutorials and simplified the process a ton! 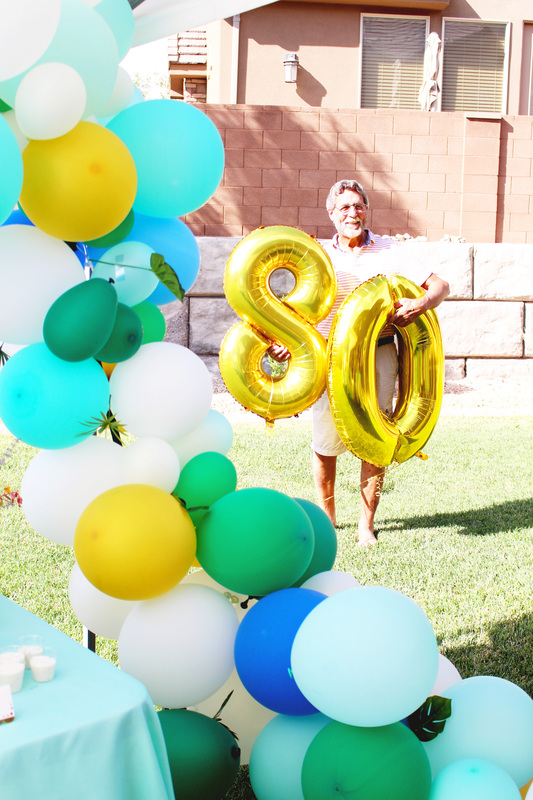 All we did was sew fishing wire through all the balloons, pushing them as close together as possible. Then we attached the fishing wire (with tape) to my photo backdrop frame, letting it hang here and there for a nice shape. 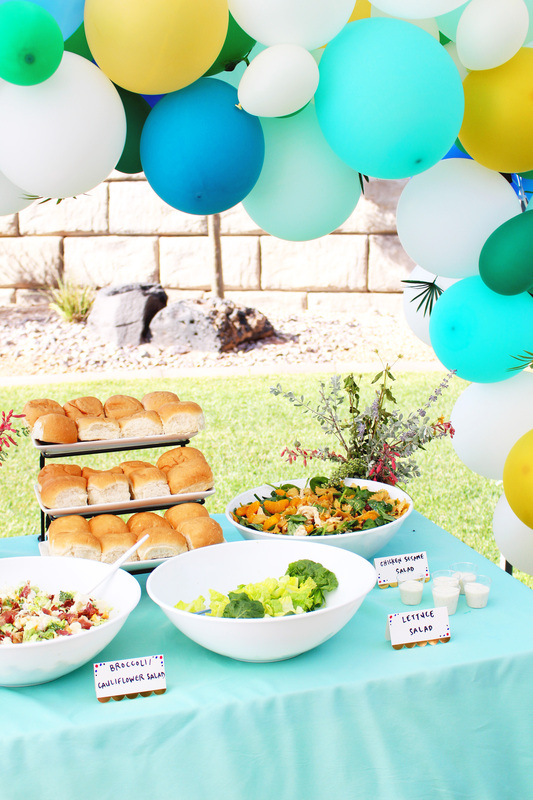 After, we filled in the gaps with more balloons and rounds of tape. Finally, we topped it off with some fake mini palm fronds I got from Michael’s, stuck throughout the arch. Don’t you think it turned out well?! 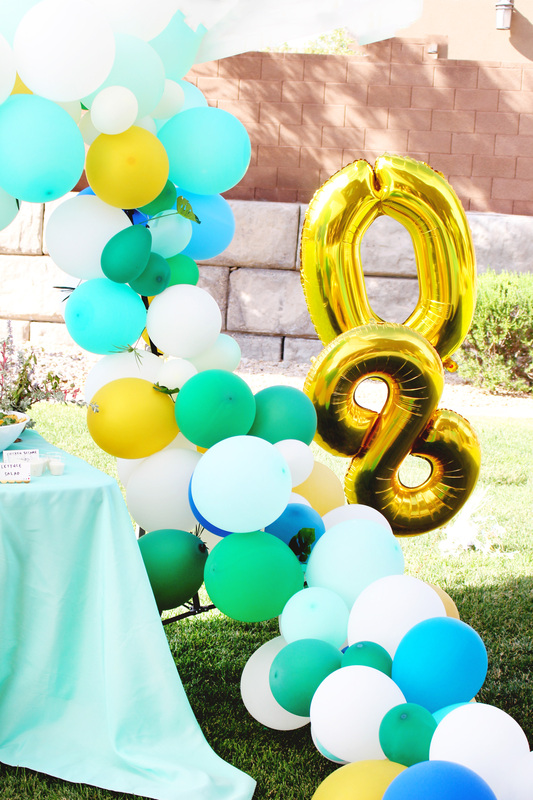 All these balloons came from Zurchers and I couldn’t be happier with how all the colors came together! 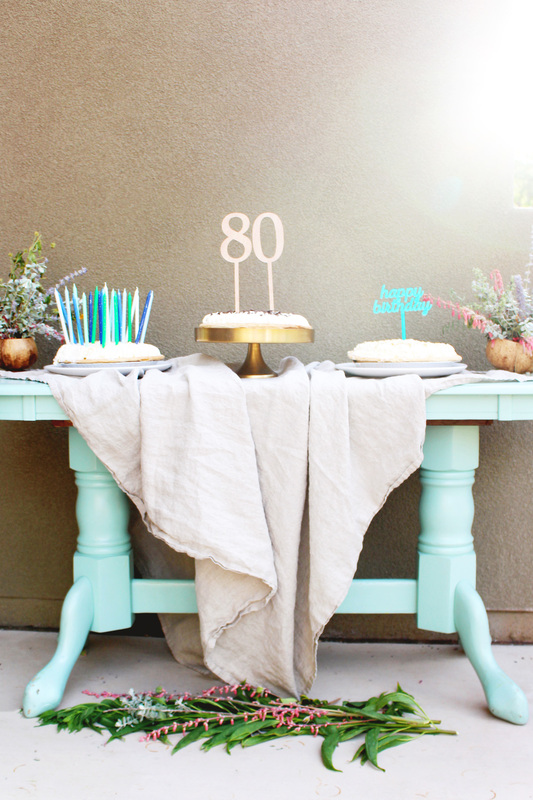 We used a mix of blues, greens, turquoise, aqua, cream, white, and gold in the regular 11″ size and mini 5″ ones. Even though the gold ones look yellow in the pictures, it still looks good altogether! And what a big impact this one piece of decor has! 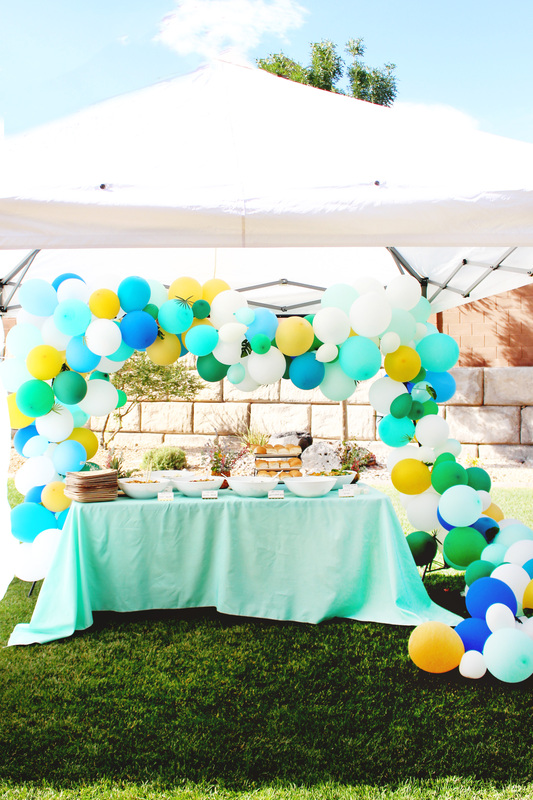 The rest of the decor was pretty simple, as the balloon arch made a big impact on it’s own! 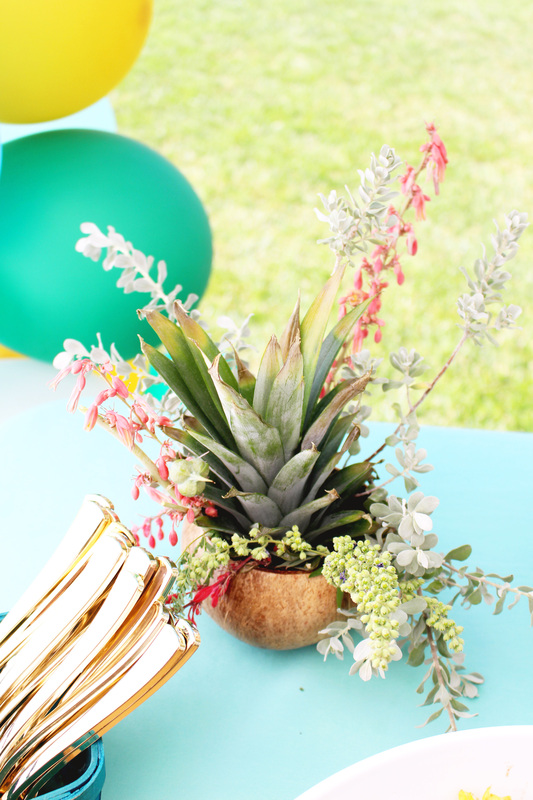 But the other fun thing we did was fill coconut and pineapple shells with some local florals and greenery. 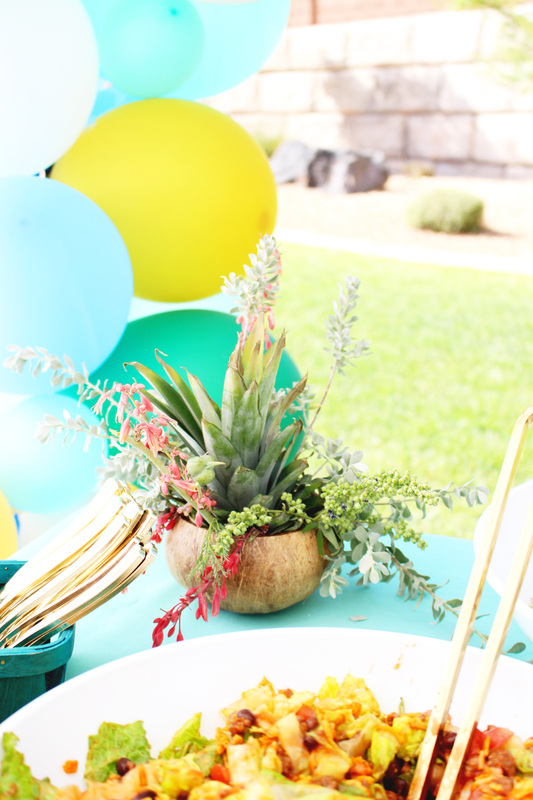 We found the best color-coordinating stuff just around the neighborhood! I even put the cut top of a pineapple in some and loved how it looked! 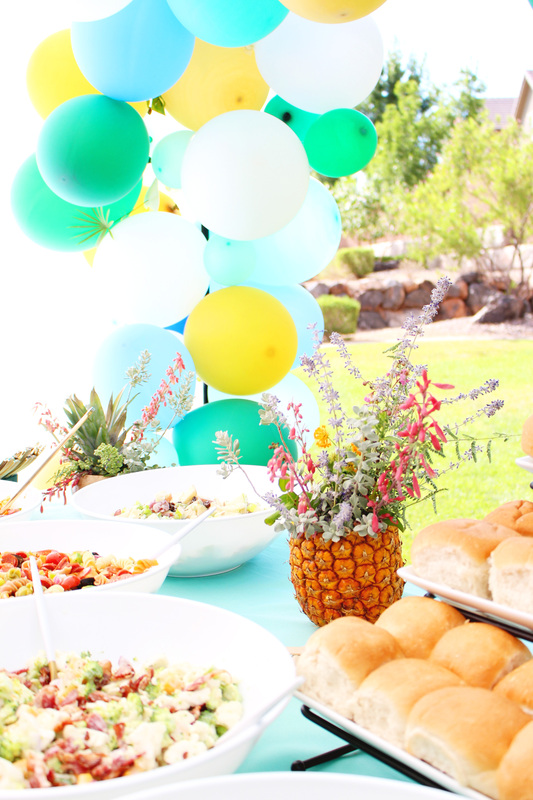 Pineapples can be hollowed out with one of those coring tools (just don’t cut off the bottom) and even frozen for weeks ahead of time. They’re not the most water-containing, so I recommend sticking a vase inside of them if you have one the right size. The coconut shell bowls are from Zurchers. 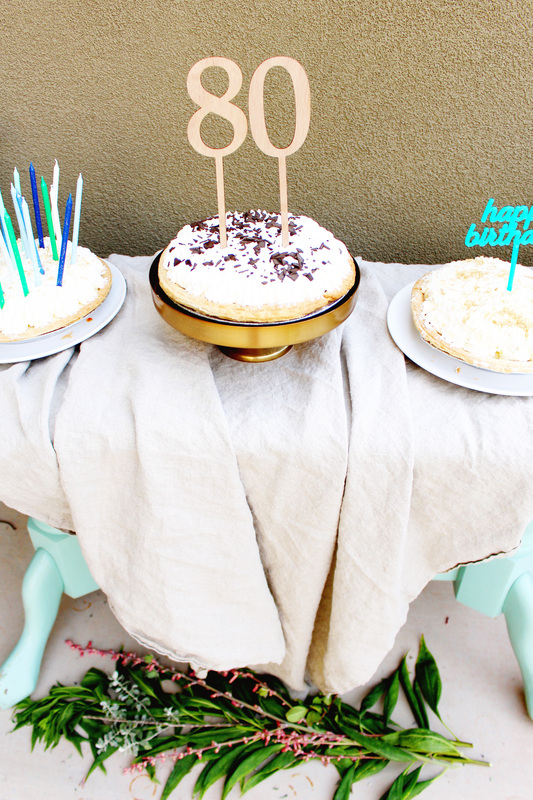 Lastly, we did a collection of 3 cream pies for dessert instead of traditional birthday cake. I topped each one with a differebt cake topper, each of them from Zurchers. 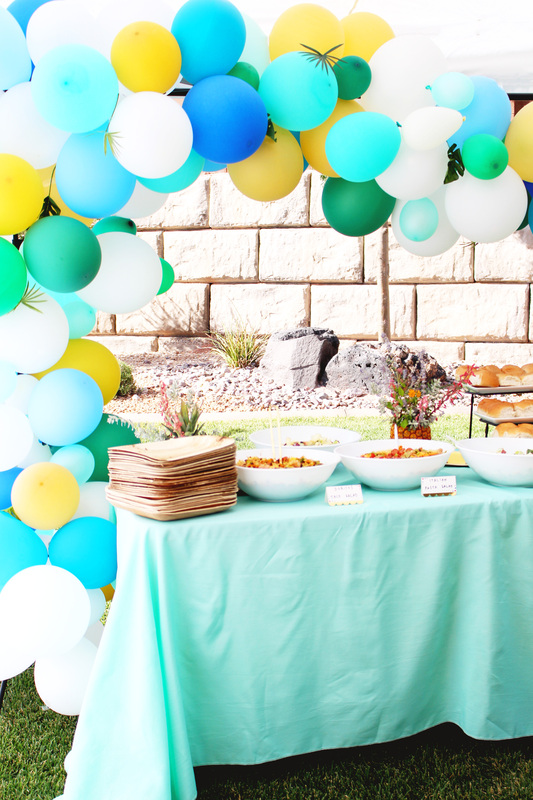 I’m so glad I finally got to throw a party for my dad, and also that I got to create a balloon arch! 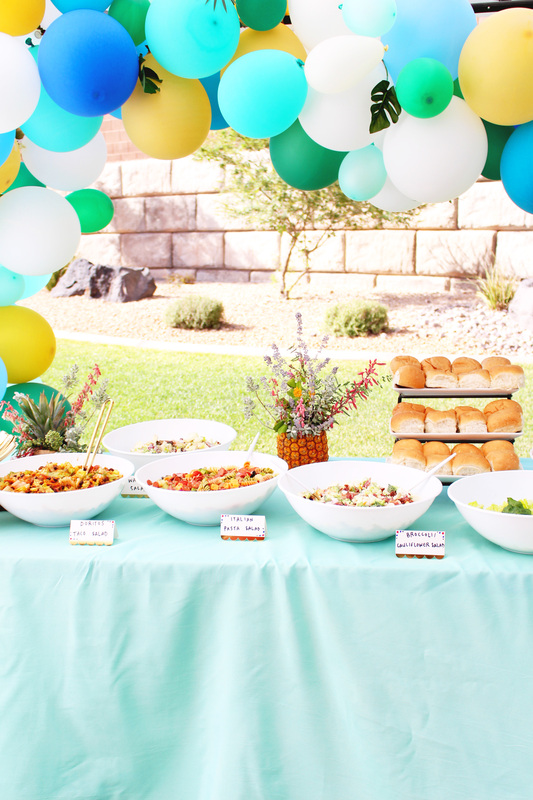 One of my brothers remarked at the event how parties always frustrate him a little because you spend all this time planning and setting up and then, after a couple hours, you just take it all back down! But I don’t feel that way at all! I absolutely LOVE the planning process! It’s so fun to visualize everything and then see it all come together. The couple hours of joy it brings are totally worth it in my book!